Marie Lynn Miranda, an acclaimed researcher and the Samuel A. Graham Dean of the School of Natural Resources and Environment at the University of Michigan, has been named provost of Rice University. Miranda specializes in research on environmental health, especially how the environment shapes health and well-being among children. She is a leader in the evolving field of geospatial health informatics and has studied, for example, the impact of racial residential segregation on health. She is the founding director of the Children’s Environmental Health Initiative, a research, education and outreach program committed to fostering environments where all people can prosper. The initiative’s peer-reviewed research has been cited extensively, including in the U.S. Environmental Protection Agency’s integrated science assessment on revisions to the national ambient air quality standard for lead. Miranda’s outreach efforts include direct engagement in communities affected by environmental exposures. Her work has garnered more than $43 million in sponsored research as a principal or co-principal investigator, plus an additional $14 million as investigator. This research has been supported by grants from the National Institutes of Health (NIH), the U.S. Centers for Disease Control and Prevention, the U.S. Environmental Protection Agency, other U.S. government agencies, the World Health Organization and multiple foundation sponsors. The Children’s Environmental Health Initiative is currently headquartered at the University of Michigan’s School of Natural Resources and Environment, where Miranda has served as the dean and professor since 2012. She also holds a position as professor of pediatrics and of obstetrics and gynecology at the University of Michigan’s School of Medicine. At Rice, her primary appointment will be in the Department of Statistics. 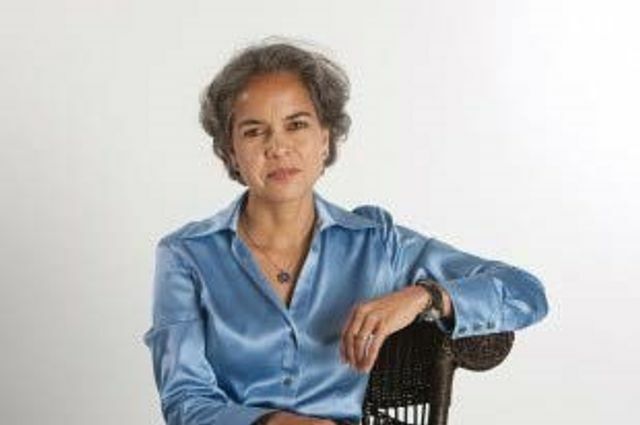 Prior to joining the University of Michigan, Miranda served for 21 years on the faculty at Duke University, where she was initially in the Department of Public Policy. With her increasing interests in environmental health, she became a professor in the Nicholas School of the Environment and Department of Pediatrics and a faculty member in the Integrated Toxicology and Environmental Health Program and the Duke Global Health Institute. Miranda currently serves on the National Advisory Environmental Health Sciences Council to the National Institute of Environmental Health Sciences, part of the NIH. Former colleagues from Duke and Michigan were effusive in their praise. A Phi Beta Kappa graduate of Duke, she earned her A.B. in both mathematics and economics. Although she worked for Duke basketball coach Mike Krzyzewski as an undergraduate, her favorite sport is baseball – and she has already seen the Rice Owls play in Reckling Park. A Truman Scholar and a National Science Foundation Graduate Fellow, Miranda has a Ph.D. and M.A., both in economics, from Harvard. Miranda is married to Christopher Geron and has three children, Thompson, Mariel and Viviana. Miranda’s appointment as the Howard R. Hughes Provost becomes effective July 1. Leebron expressed gratitude to current provost George McLendon for his five years of leadership in that role and also to the search committee for his successor, which was co-chaired by Associate Professor of Sociology Rachel Kimbro, deputy speaker of the Faculty Senate. Located on a 300-acre forested campus in Houston, Rice University is consistently ranked among the nation’s top 20 universities by U.S. News & World Report. Rice has highly respected schools of Architecture, Business, Continuing Studies, Engineering, Humanities, Music, Natural Sciences and Social Sciences and is home to the Baker Institute for Public Policy. With 3,920 undergraduates and 2,567 graduate students, Rice’s undergraduate student-to-faculty ratio is just over 6-to-1. Its residential college system builds close-knit communities and lifelong friendships, just one reason why Rice is ranked among some of the top schools for best quality of life by the Princeton Review and for best value among private universities by Kiplinger’s Personal Finance.